Billabong Bill’s Bushfire Christmas is the story of the residents of a small country town faced with a bushfire on Christmas Day. It is illustrated by Jobi Murphy and published by Random House. A few years ago I lived south of Sydney in the Royal National Park, in a little town called Bundeena. Our house was on the very edge of town, and looked out over the Park, which stretches for miles down the coast and is one of the most beautiful places in the world. I spent Christmas in Melbourne with my family in 2002, but on Christmas Day the fires started. So early on Boxing Day, in the dark, my brother drove me to the airport and I flew back to Sydney alone to fight the fire. My partner was away in New Zealand. All the roads were blocked off. I parked the car in Cronulla and took the little wooden ferry across to Bundeena; eyes streaming, coughing. The sky was black with smoke and the sun was red. I felt like a little hobbit approaching Mordor. You could see the flames on the hills opposite from the upstairs windows of our house. I spent days raking up leaves, climbing on the roof with the hose, spraying the trees and walls with water, watching for the embers and burning leaves that might lodge in a branch or a gutter. I never worked so hard in my entire life. I made decisions about what few things I would save, packed them into a few bags and loaded up the little car, drove it to the other side of Bundeena and left it there, in the hope that the flames wouldn’t reach it. I chose one book out of my thousands (Jane Eyre, my first grown-up book, with gilt-edged pages), a few paintings, photos. It’s amazing how ruthless you become. And then we all waited. Hosed, raked, and waited. All night. All day. The flames stopped. Or rather, a handful of very brave men and women stopped the flames. It burned for days – weeks. After a few days you could drive through the park and see the burnt stumps, see the chastened flames still in the gullies. 60 percent of the Park was burnt. The trees grew back amazingly fast. The undergrowth and the wildlife recovered – mostly. But the park is not the same, and I won’t ever be the same. I will never take those fire fighters for granted again. 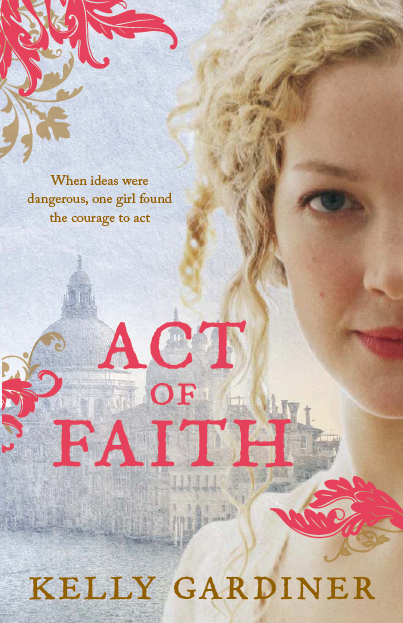 And that’s partly what the book is about. 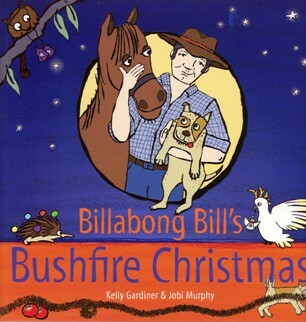 Billabong Bill’s Bushfire Christmas was published in hardback (2007) and paperback (2008) by Random House.